Rapper Kanye West donated $US126,460 to Chicago Democratic mayoral candidate Amara Enyia. West, a native of Chicago, had already donated $US73,540 to Enyia in October. 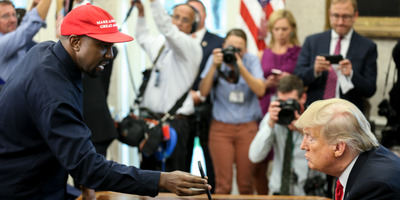 Just weeks after literally embracing President Donald Trump in the Oval Office, rapper Kanye West donated $US126,460 to Chicago Democratic mayoral candidate Amara Enyia, The Chicago Sun-Times reports. West, for example, earlier this year drew ire when he claimed slavery was a “choice.” He later apologised for his remarks.